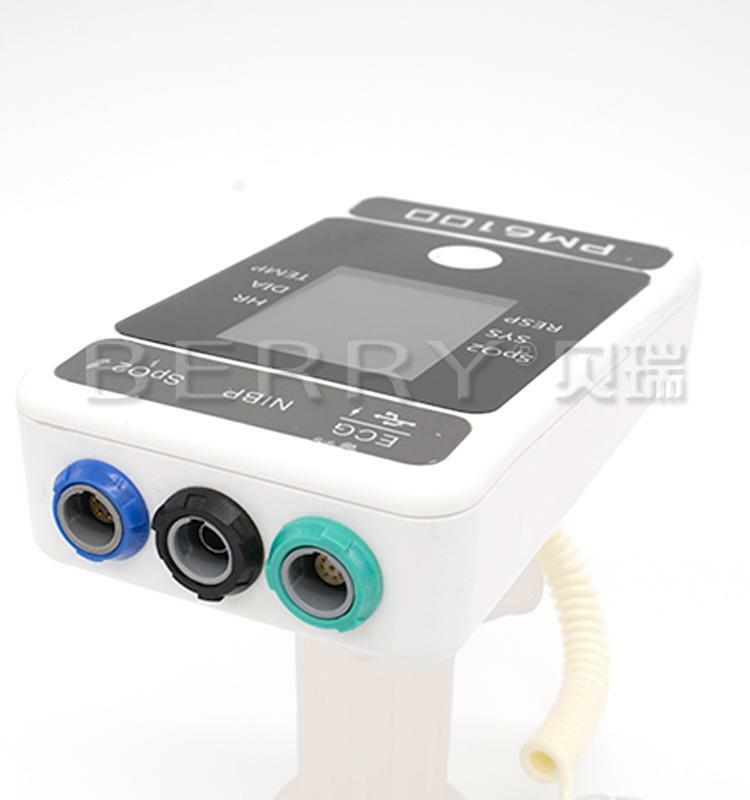 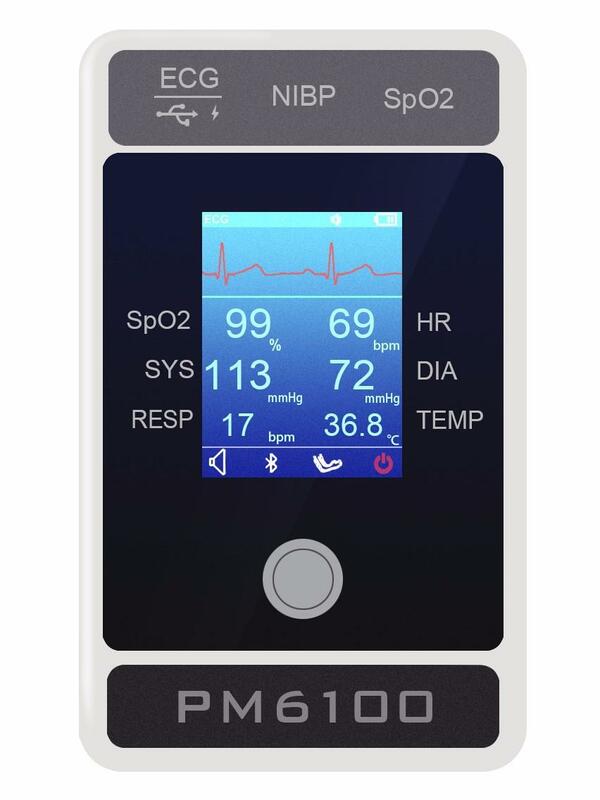 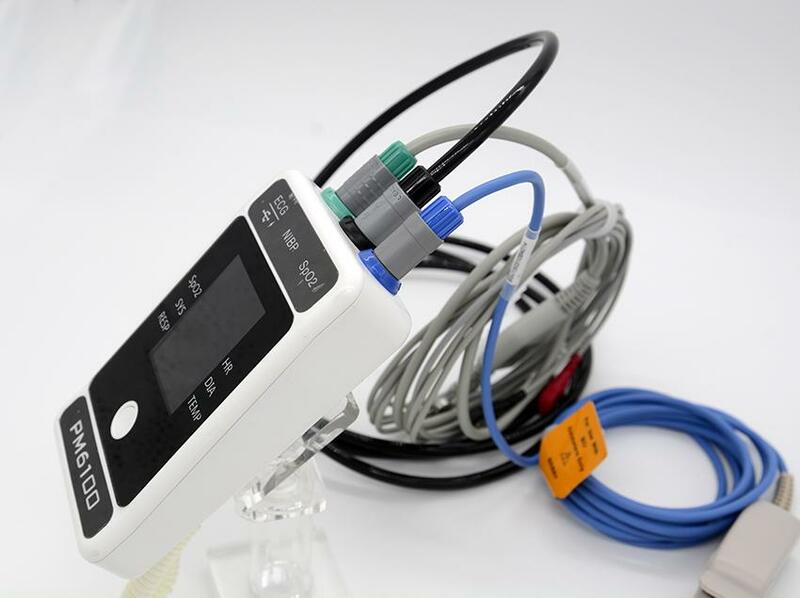 Multi patient monitor integrates the functions of parameter measurement, waveform moitoring, etc .Its color TFT liquid crystal display is able to show patient parameters and waveform clearly, The monitor also features compact size, lightweight, easy-to-carry handle and built-in battery, which make it portable in clinic, ward, even at home. 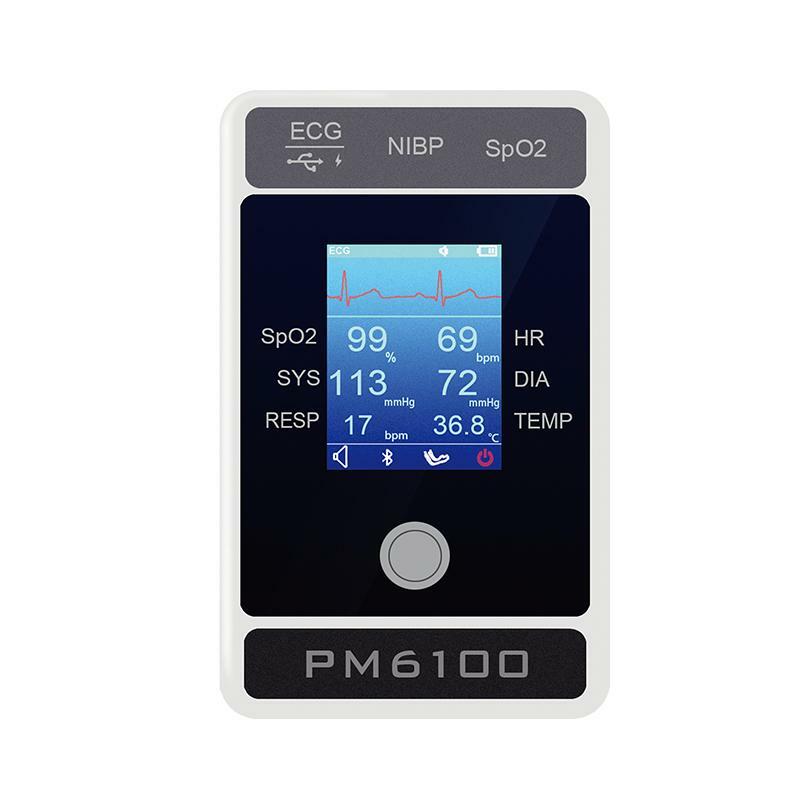 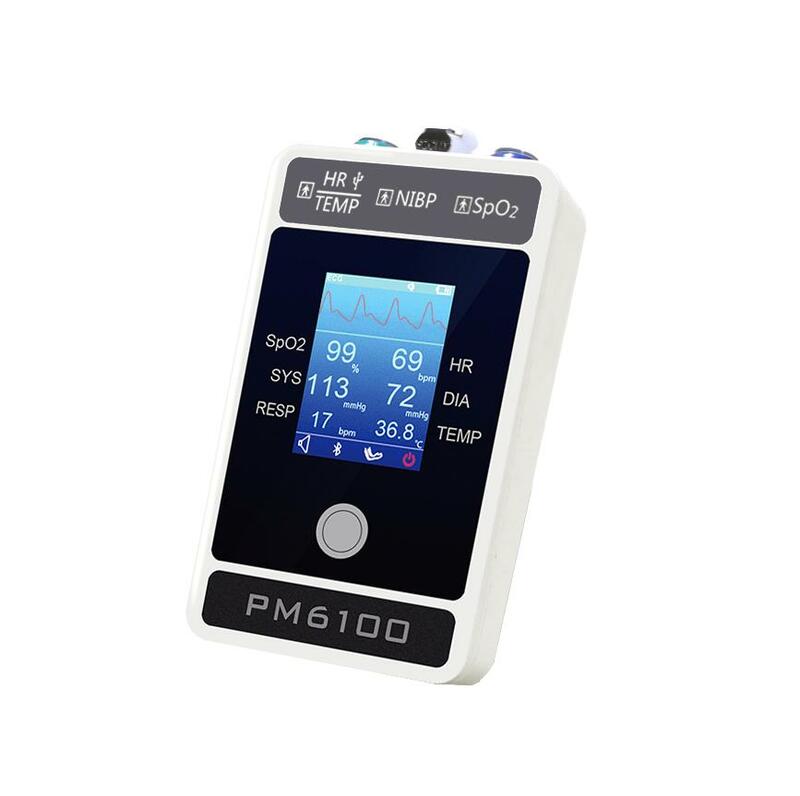 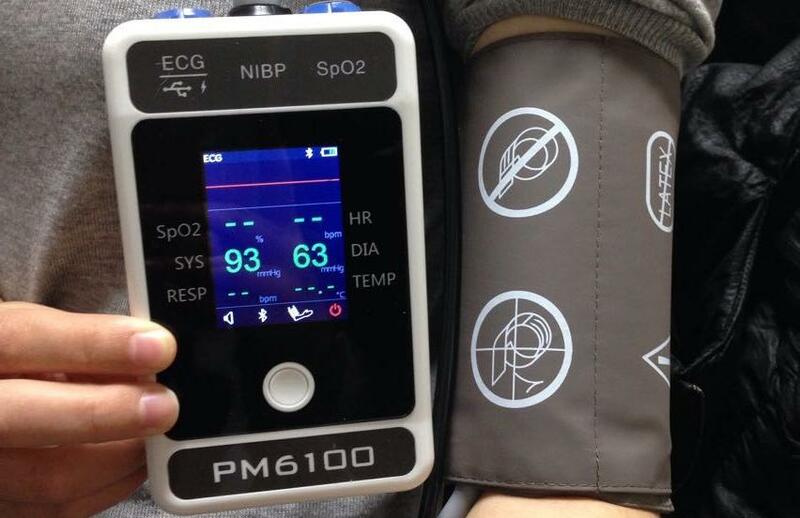 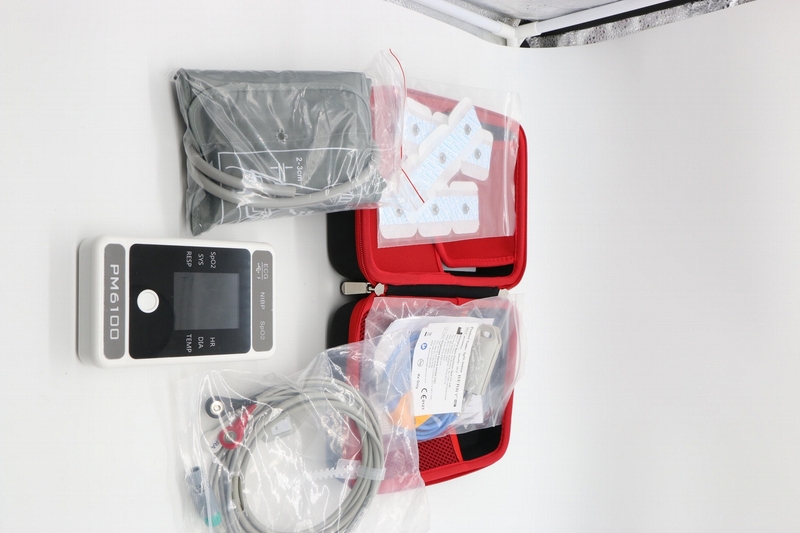 This monitor is capable of monitoring parameters: ECG(Electrocardiograph),HR(heart rate),NIBP(noninvasive blood pressure),SPO2,PR(pulse rate),TEMP(body temperature). 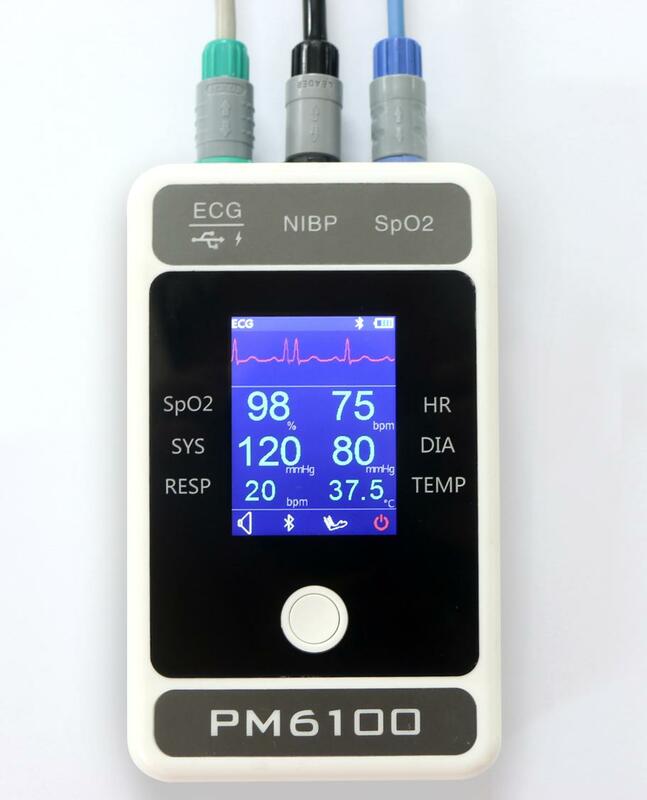 The One-Button-Design make the monitor to be a easy-to-use system, so you can perform the operations conveniently. 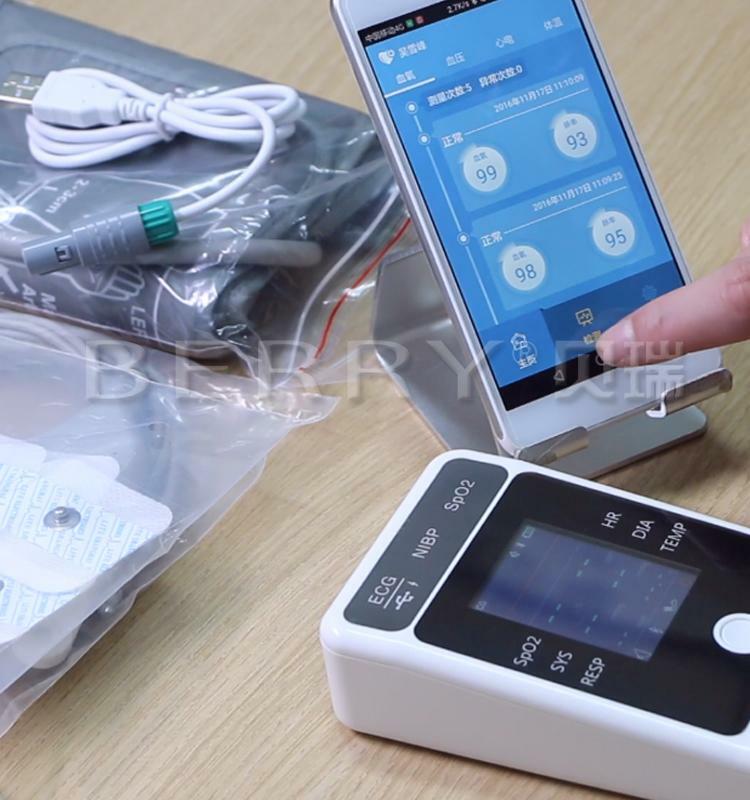 Besides, this monitor can be connected with the other smart terminals such as PC, iphone and Android phones. 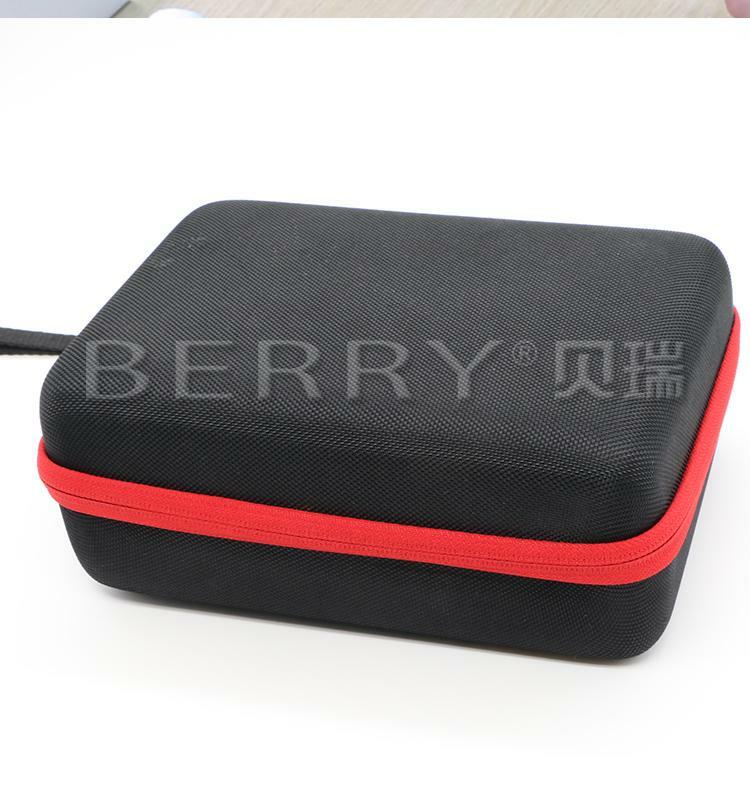 1.Compact size, lightweight, easy-to-carry handle. 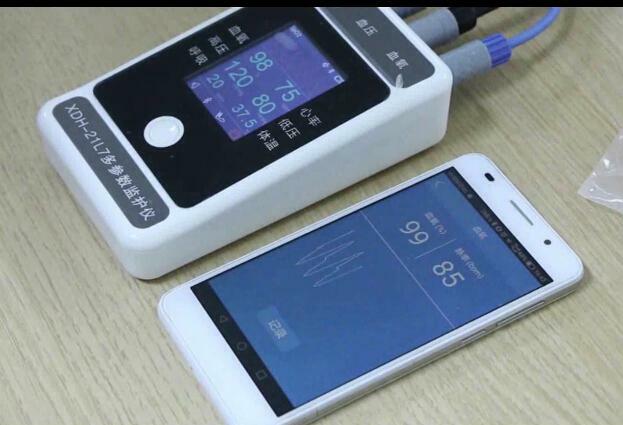 5.Support both Bluetooth 3.0 and BLE 4.0 communication.